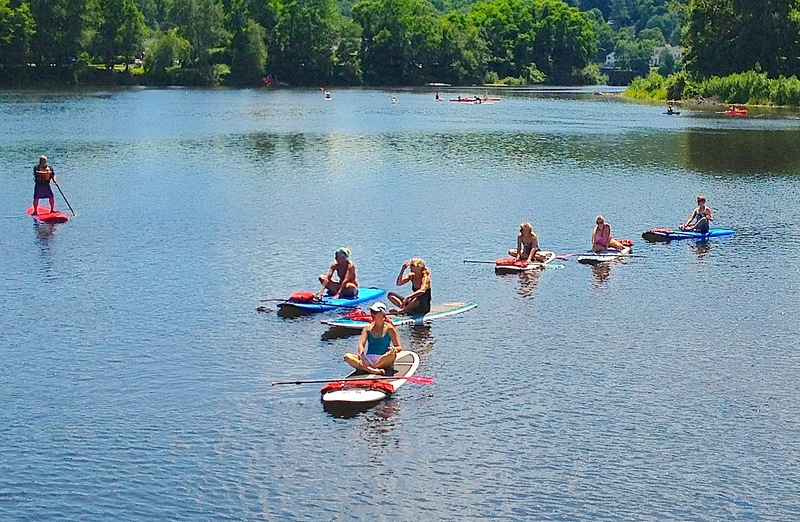 It was a great day of Stand Up Paddle Board Yoga yesterday. 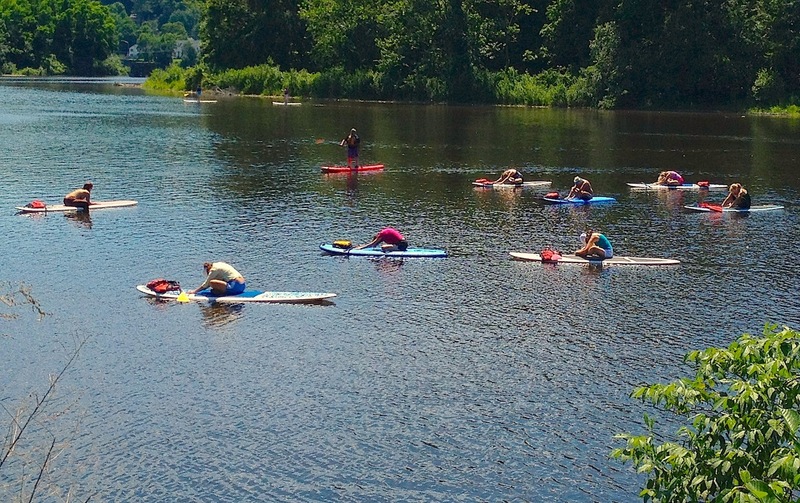 Nine lovely people joined me on the beautiful Farmington River for a Paddle Board lesson and yoga class. The sun was shining, the water was cool, and the atmosphere was very peaceful. 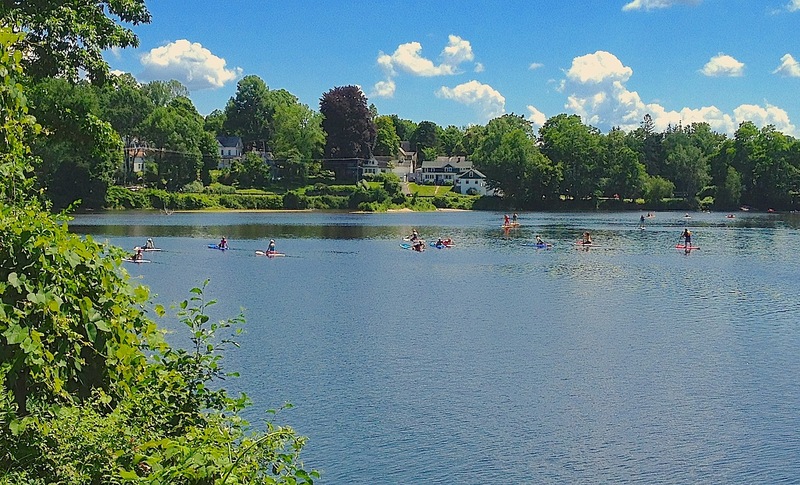 Floating on the river while practicing is a wonderful way to feel our connection to this Earth and everything on it. The senses are awakened. The river creates a fluid, yet peaceful yoga mat. I truly believe that this is one of the best ways to practice yoga. I hope you’ll consider joining me for more lessons this July. Class dates will be posted when they are confirmed. Additionally, I’ve included some pictures for all of you to see what the class is like. Please feel free to contact me with any questions or comments you have about the class.